Welcome to CME on ReachMD. This episode of “Latest Updates in HPV Testing” titled, Unraveling Recent Cervical Cancer Screening Updates and the Impact on Your Practice, is provided in partnership with Omnia Education and supported by an independent educational grant from Roche Diagnostics. Before you begin this activity, be sure to review the disclosures statements and learning objectives. Your host is Dr. John Russell. Although the number of deaths from cervical cancer has decreased substantially since the implementation of widespread screening, there is still much work that needs to be done. In fact, the American Cancer Society estimates that over 4,000 women will die from cervical cancer this year, which is why the U.S. Preventive Services Task Force, or USPSTF, recently released a final recommendation for cervical cancer screening. This is CME on ReachMD, and I’m Dr. John Russell. Joining me today is Dr. E.J. Mayeaux to discuss 2 important aspects of cervical cancer screening: the impact of the latest guidelines and primary screening options moving forward. E.J., welcome to the program. So let’s start with a brief overview of the updated recommendations presented by the USPSTF. So, EJ, what do these recommendations entail, and what age groups are affected? Well, this will seem very familiar to a lot of providers because this is built upon the recommendations we had in the past. So, for women ages 21 through 29 years, the recommendation is to have cervical cytology alone, Pap testing, once every 3 years. For women ages 30 through 64 years of age, there are 3 options. The first is cervical cytology alone every 3 years, the second is to have high-risk HPV testing alone every 5 years, or to have high-risk HPV testing plus cervical cytology or Pap testing every 5 years. So to recap the various contributors to cervical cancer screening guidelines, an interim guidance report was issued in January 2015 by the SGO and ASCCP with input from 5 other national medical organizations. This was followed by ACOG’s input in 2016. But the latest USPSTF recommendations look differently from these other iterations. Could you speak to these differences? HPV testing. So, since the majority of the value comes from the HPV test and we now have data that strongly supports that it works, now we can actually recommend it. So, as a quick follow-up to that, have all the medical societies that provided these screening recommendations gotten behind the most recent USPSTF guidelines? Well, it’s still a little bit early. The American College of Obstetrics and Gynecology has come out in support of this recommendation and has added it to their own recommendations, and the ASCCP has also supported this as part of the ACOG recommendations. Other organizations are still in the process of updating their guidelines. Evidence-based guidelines take a lot of time and effort to put together, so we expect that more organizations are going to weigh in in the near future. So let’s consider the impacts of changing cervical cancer recommendations on our patients. With these changes coming in so frequently, and in some cases dramatically, how can our patients choose what screening approach is best for them? That’s a great question, and the reality is it’s up to us. It’s up to the providers to really stay up to date on the new information that comes along. It’s a wonderful time to be involved in women’s care because we have so much more data, so much information that we only wish we had 20 years ago, and so it’s up to us to make sure that we stay up to date, that we know the most current guidelines and the evidence that supports them. There is a lot of useful information out there that we can get from the organizations and from the public health services, and we can go out there and help our patients understand why this is the best and how to apply the best for them. For those just joining us, this is CME on ReachMD, and I’m Dr. John Russell. With me today is Dr. Edward J. Mayeaux to discuss the latest updates in cervical cancer screening. You’ve given me a lot to think about. So, why don’t we take a closer look at these primary screening options that are recommended by the USPSTF? The first recommendation is for women 21 to 29, and they are to be screened every 3 years with cervical cytology alone. Can you go over the risks and benefits of selecting that 3-year screening interval for this age group? Sure. Because we know so much more now than we did before, we can actually look at the characteristics of the test itself and do what we do now for a modern test and figure out what is the best interval to do the testing where we can balance the risks or the harms and the benefits of the test. So we now can look at the test, and we have determined using these mathematics and the long history we now have to determine that 3 years is actually the best interval. If you screen too often... The yearly Pap test wasn’t based on science. It was based on practice. We had to start somewhere, and that’s where we started, but now we have good evidence, and that’s what we base the recommendation on now. So the next subgroup to talk about in our recommendations: women 30 to 65 years of age. And this seems a little more complicated since the screening intervals are either every 3 years with cervical cytology, or every 5 years with HPV testing, or every 5 years with co-testing of both cytology and high-risk HPV testing. So, why were these screening methods chosen, and what’s the rationale for this 3- to 5-year interval? Sure. And if you understand where it came from, it makes it much easier to remember. So the 3-year cytology is actually the same throughout the woman’s life during the time periods we recommend her being screened, so that just doesn’t change. It’s 3 years from age 21 through age 65. Now, we’ve had co-testing for a while, and it’s been recommended in the last iteration of the recommendations, and we know that the HPV test is more predictive of a woman’s future risk, not just what’s going on today. So, when we did co-testing, as it’s gone along it’s done very well, but because of that predictive risk, a 5-year interval was settled on as the most appropriate by most organizations. But since the HPV testing is actually the bulk of what we get out of the co-testing as far as predicting a woman’s risk and whether or not she is relatively safe from cervical cancer, then we can actually say the same 5-year interval makes sense. So either co-testing or primary HPV screening, a 5-year interval is appropriate. So, taken together, these guidelines suggest that screening is beneficial for women between the ages of 21 and 65 but not for women younger than 21 or older than 65 if you have had adequate prior screening. So, what evidence supports that, and is there any harm in screening our patients who are under 21 or patients who are older than 65 if they really want to be screened? That’s a very important question, and the answer is, yes, there actually are harms. And, in fact, it has been stated in the past that the harms of screening someone younger than 21 actually outweigh the benefits of doing the test. There are a lot of reasons why. The first is cervical cancer is really rare in this younger population. These younger women have good immune responses. They just don’t have the level of cervical cancer. So, if it’s rare and you do a test anyway, it makes the test less accurate. The second issue we have is that the cancers that younger women get are more unusual. They’re not the standard squamous cell carcinomas that we typically find in the older age groups, so Pap test doesn’t work well for them. It just doesn’t tend to pick up the disease like it does for the things that it was designed to do. So, for both those reasons, it’s just not the right test for these younger women. Now, if a woman has been screened adequately over her lifespan, if she’s never had high-grade disease—or another way to say it, if the virus has never gotten away from her before—then her chances of developing cervical cancer later in life, especially from a new infection, is really felt to be very low. A woman could elect to not be screened after the age of 65 simply because the test is unlikely to extend her life, and so, therefore, there’s a good option here to say this is the time we probably should quit. Be aware, if she’s ever had high-grade disease before, screening is recommended for at least 20 years past that high-grade biopsy. Let’s talk about the impact of the HPV vaccination, which has been a wonderful addition to our practices. How does this impact screening choices, and how does being immunized affect the screening method or the intervals chosen? Right now we don’t recommend that it influence it at all, and here is why. We just don’t know. We don’t have enough outcome data to tell us what level of protection it gives us long term, and so once we’ve had time to study it long enough, we’ll know who it is that we can actually spread screening out for. And many experts think we will, but we’re not going to guess. We’re not going to bet women’s lives on a guess. We’re going to get evidence, and then once we have the evidence, then we’ll make recommendations. So, for now, screen as usual, and when we have enough, we’ll let everybody know. Great. And as we wrap up our discussion, is there anything else you’d like to add about these latest guidelines or the impact of primary screening options moving forward? Just a reminder that as the information grows, as we become better at doing what we do, we have to move ourselves to become better. It’s very easy to take what we learned before or what we’re comfortable with and stay with that, but we are developing better evidence and better knowledge, so it’s really important that we stay up to date so we can give the best care to our women and the best advice to the people that we take care of. There are some special exceptions. I recommend that all providers go to the USPSTF website and become aware of some of the special population information that’s out there. But in general, it’s fairly easy to keep up with nowadays once we know what’s going on, and the evidence is laid out for us, and in the end, we can take the best care of our patients. Well, this was a great opportunity to get in front of a rapidly changing practice environment with the latest cervical cancer screening updates. Dr. Mayeaux, thank you for sharing your thoughts today, and we’re looking forward to having you on the program again soon. This activity has been provided in partnership with Omnia Education. To receive your free CME credit, visit ReachMD.com/Omnia to complete the posttest and evaluation. 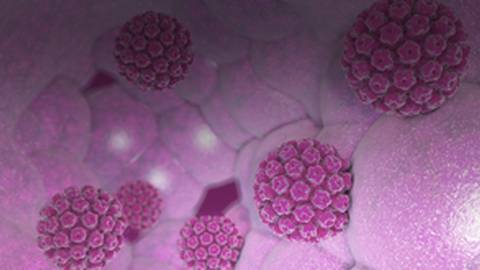 The latest guidelines from the USPSTF aim to decrease the number of cervical cancer cases, but what effect will they have on your practice? Even though the number of deaths from cervical cancer has decreased substantially since the implementation of widespread screening, the American Cancer Society still estimates that more than 4,000 women will die from cervical cancer this year. Because of this, the U.S. Preventive Services Task Force (USPSTF) recently released a final recommendation for cervical cancer screening. This interview will discuss the impact of those latest guidelines on cervical cancer screening and the primary screening options moving forward. Dr. Russell is a speaker for Sanofi Pasteur. Dr. Mayeaux has nothing to disclose. This activity is designed to meet the educational needs of the obstetrician and gynecologist, family physician, internal medicine physician, physician assistant, nurse practitioner, and certified nurse midwife.